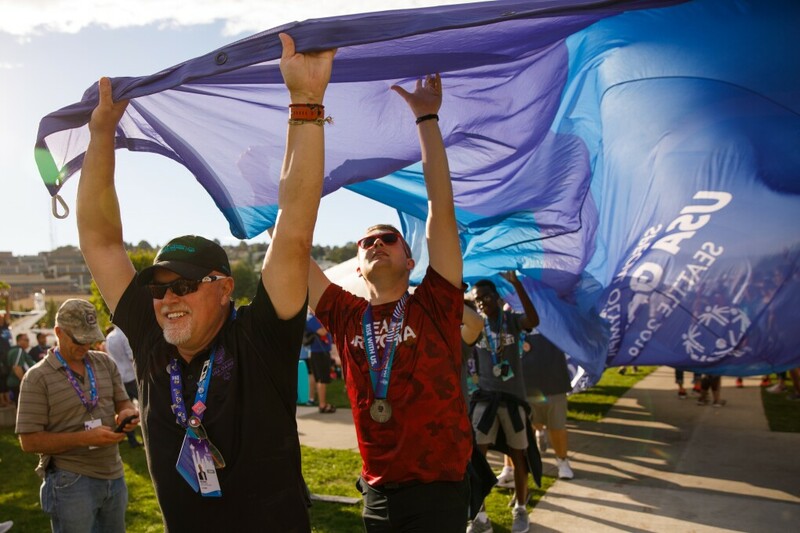 The 2018 Special Olympics USA Games just wrapped up in Seattle. 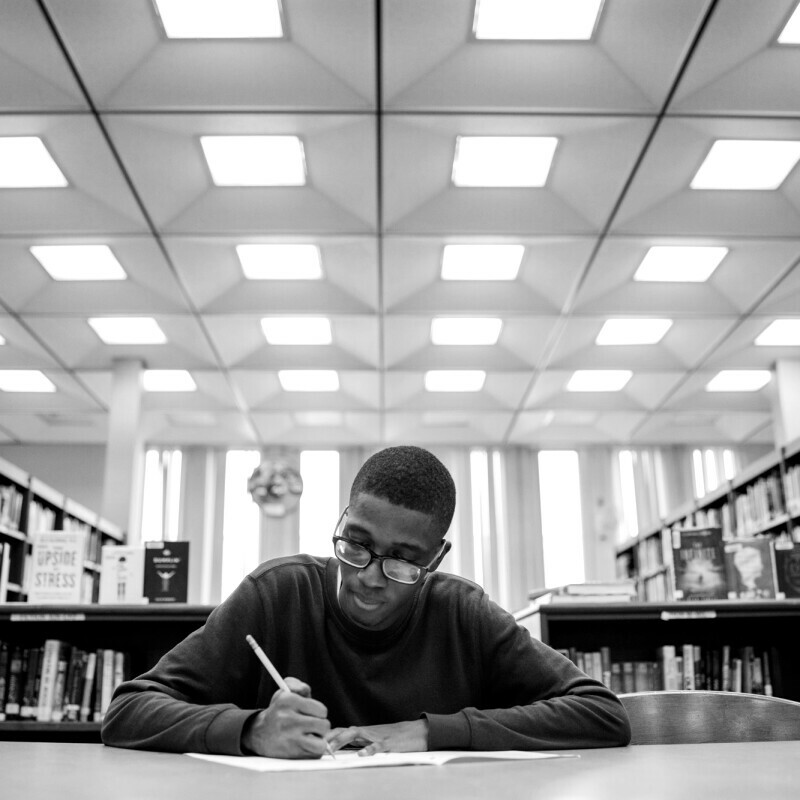 The USA Games, which take place every four years, drew over 4,000 athletes, their families, and coaches from all 50 states and the District of Columbia to compete in 14 Olympic sporting events throughout this week. 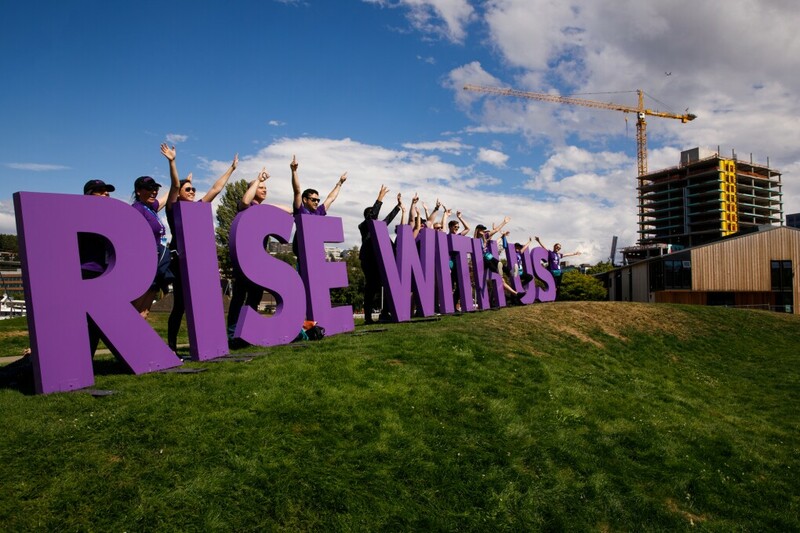 Amazon was proud to be the presenting sponsor of the Closing Ceremony, which took place in Seattle's Lake Union Park. 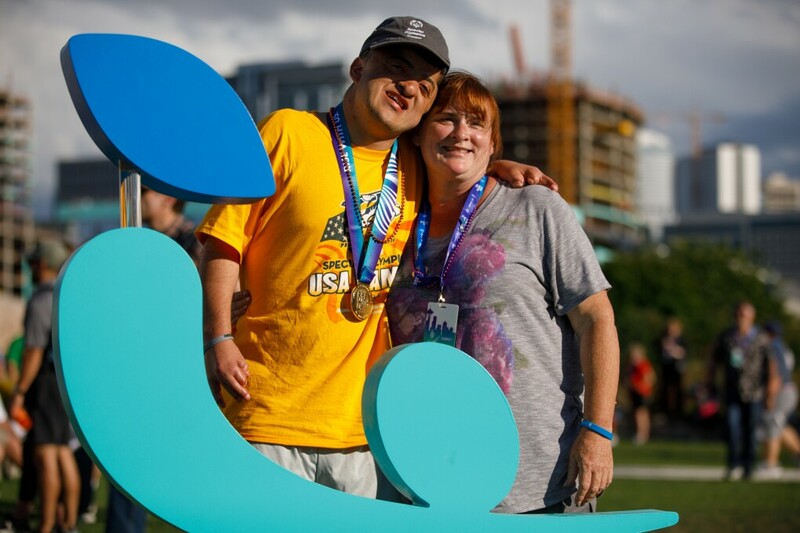 It was an incredible evening celebrating the spirit of inclusion of the USA Games and the amazing accomplishments of these extraordinary athletes. 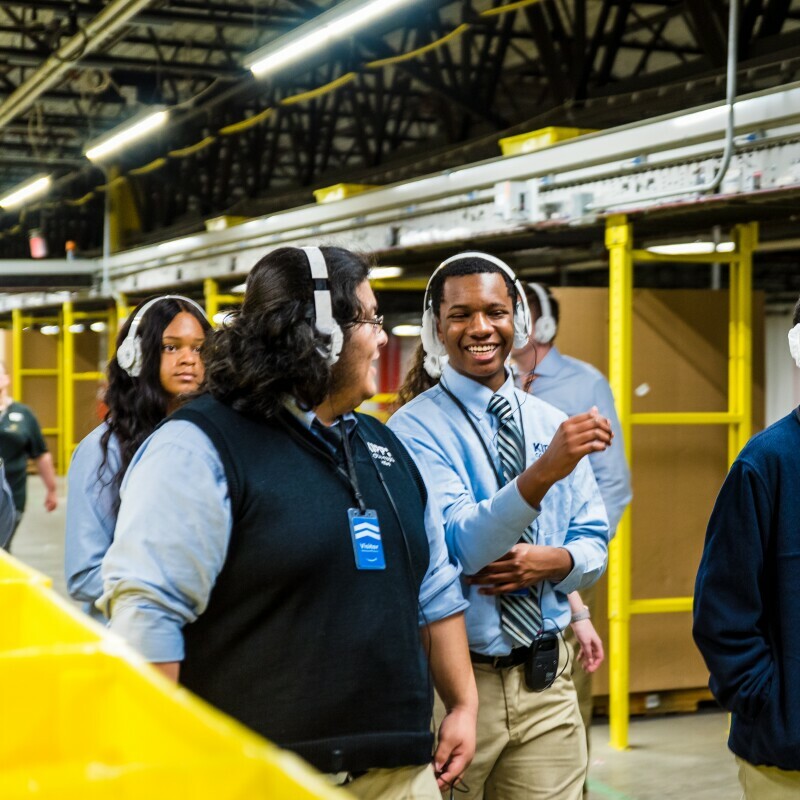 See other ways Amazon supported the USA Games, learn how Amazon works with a non-profit to help people with disabilities find and keep jobs, and find out why the Special Olympics are especially meaningful for this Amazon family. 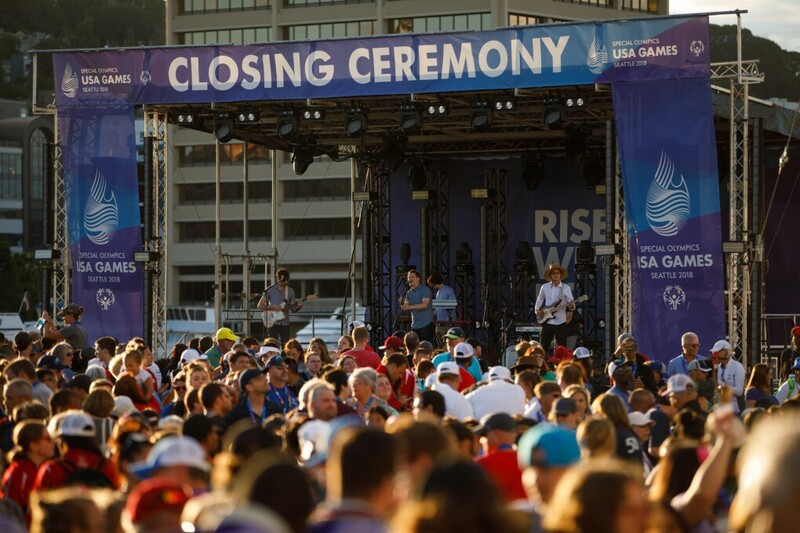 USA Games athletes celebrate at the Closing Ceremony, presented by Amazon. Seattle band Hey Marseilles perform at the USA Games closing ceremony. 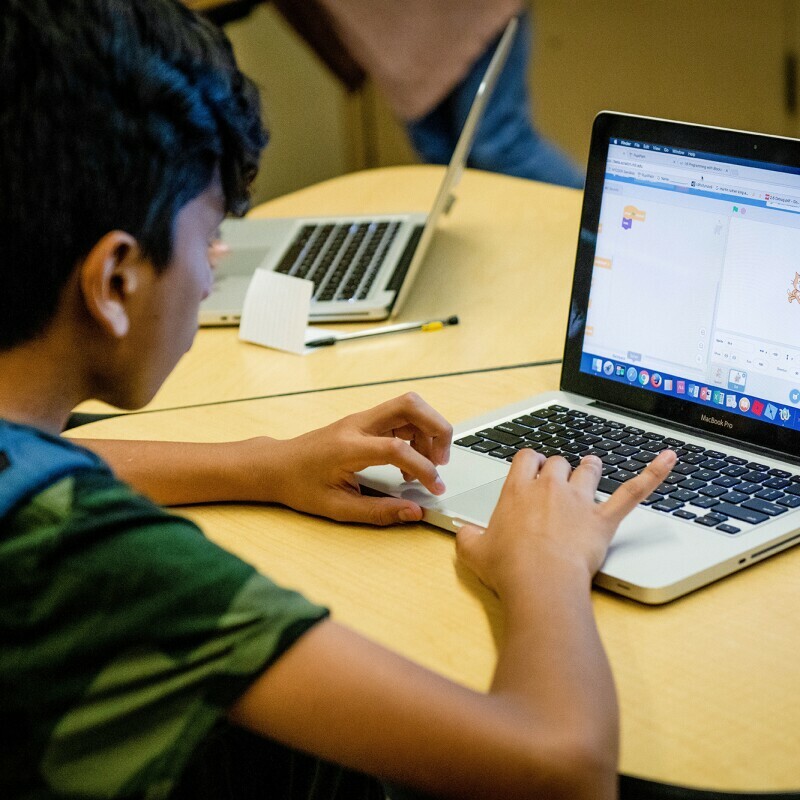 Lots of smiles at the closing ceremony, presented by Amazon. 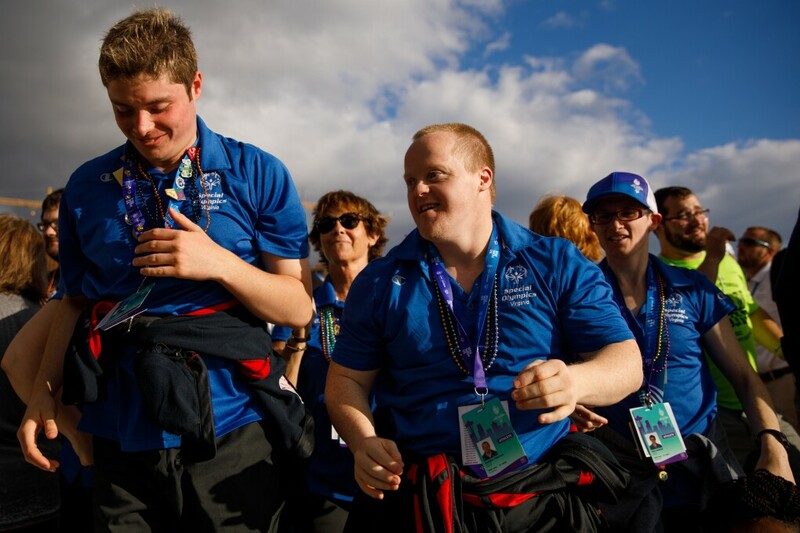 USA Games athletes and attendees cheer at the closing ceremony. 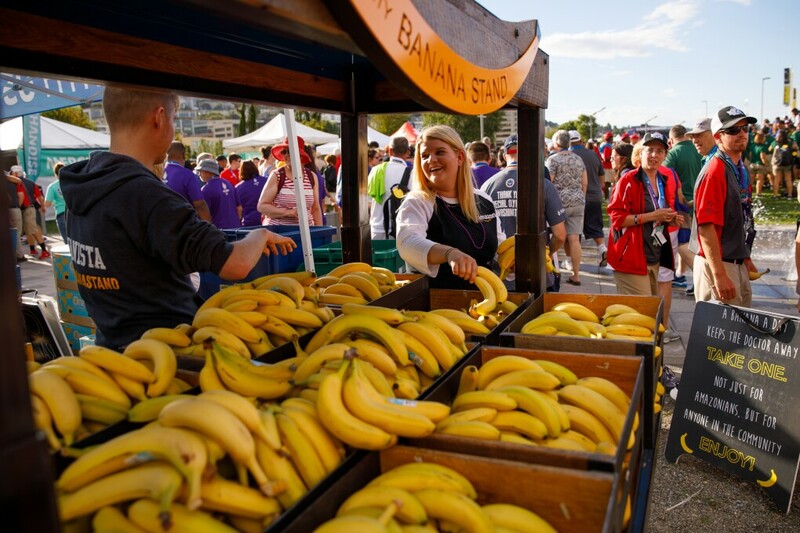 The Community Banana Stand distributed thousands of bananas to USA Games athletes, their friends, and family members at the closing ceremony. 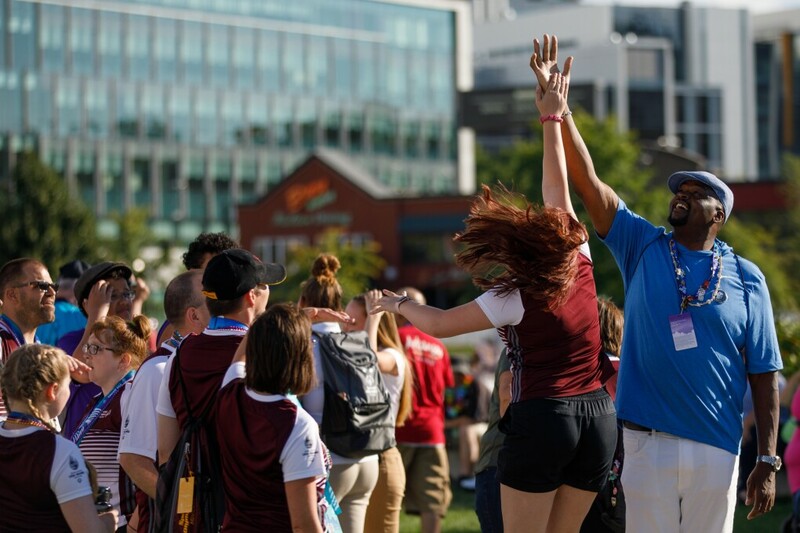 High fives at the USA Games closing ceremony. 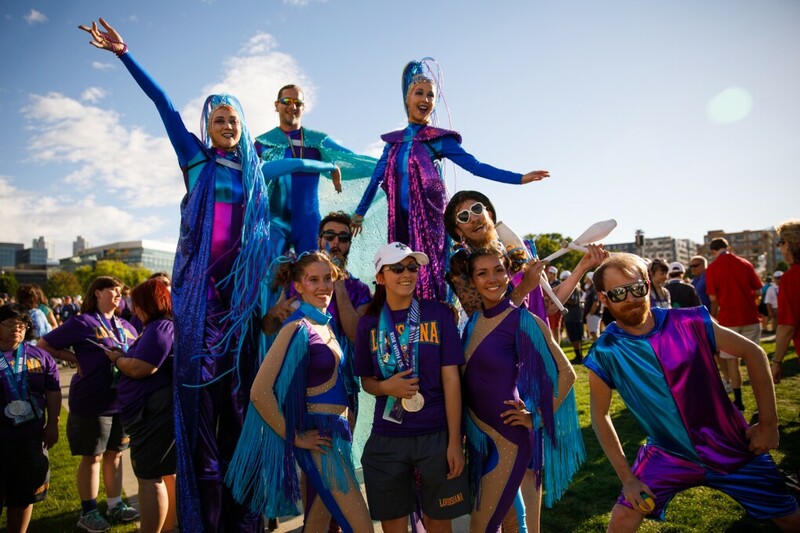 USA Games athletes and their family and friends posed for lots of pictures at the closing ceremony. 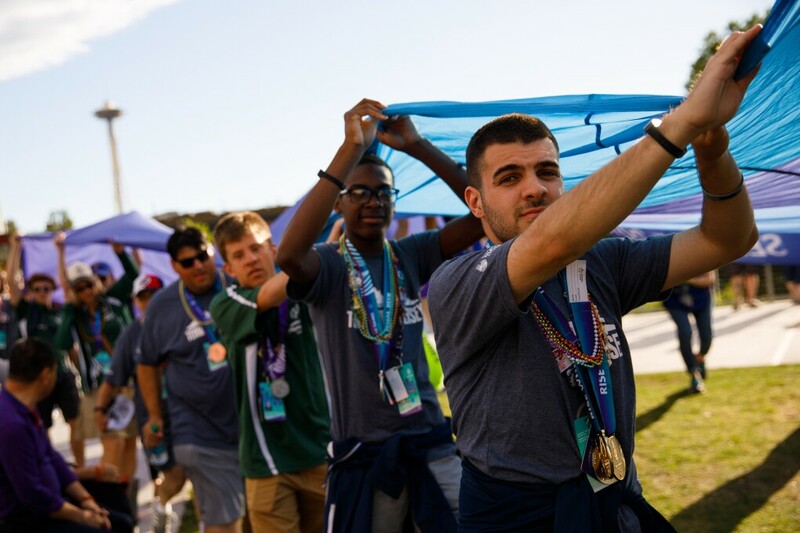 USA Games athletes carry the ceremonial Special Olympics flag at the closing ceremony. 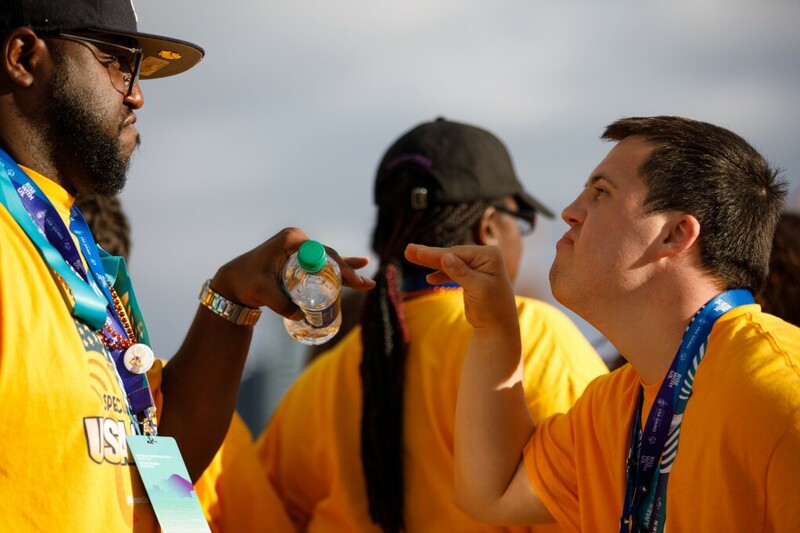 Amazon employee volunteers welcome USA Games athletes to the closing ceremony. 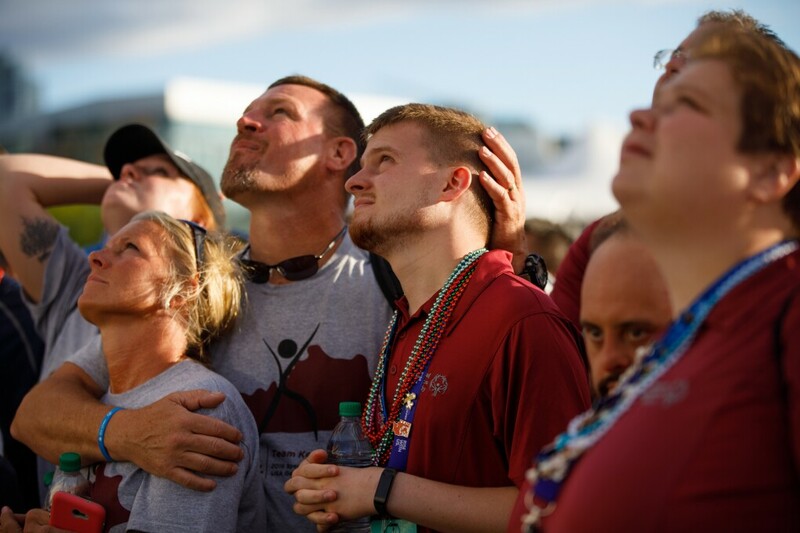 USA Games athletes and their families celebrated at the closing ceremony. 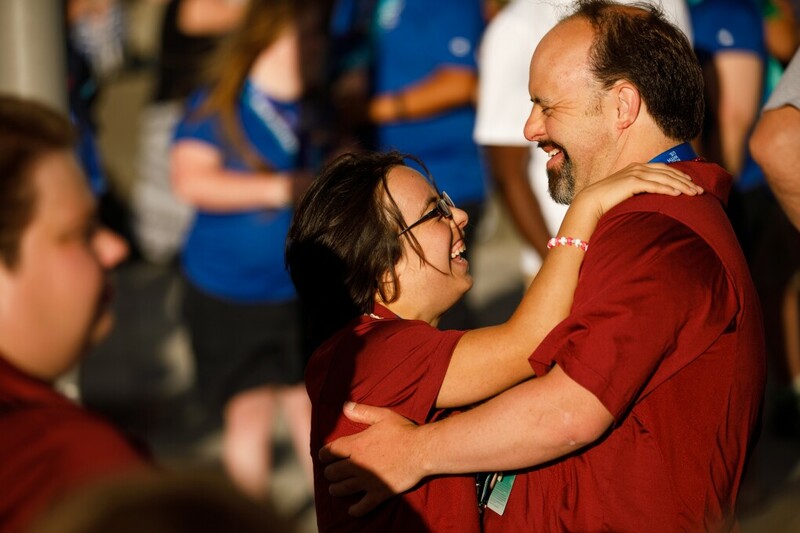 USA Games athlete celebrates with event performers at the closing ceremony. 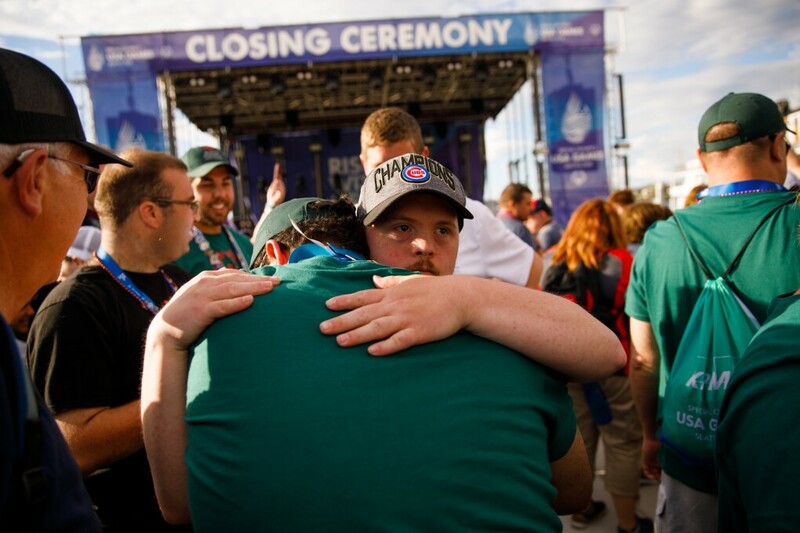 Lots of congratulatory hugs at the closing ceremony. 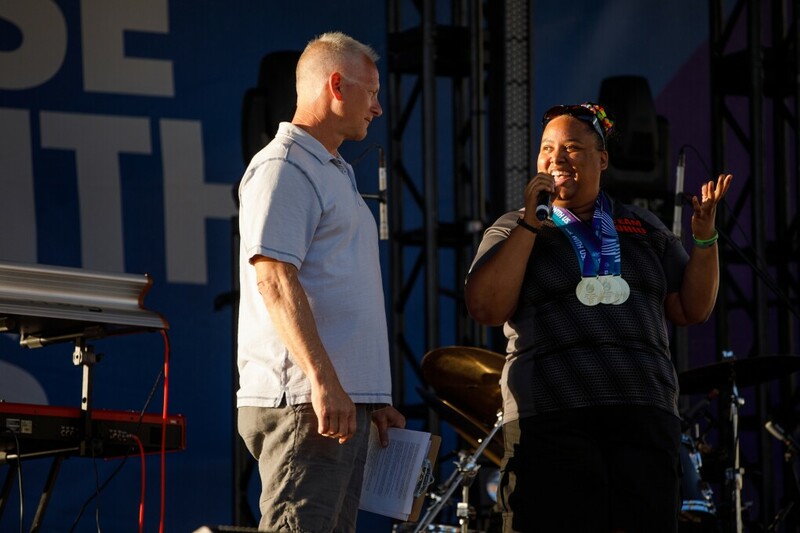 ESPN’s Kenny Mayne talks to Special Olympian Ali Riddick on stage at the USA Games closing ceremony. 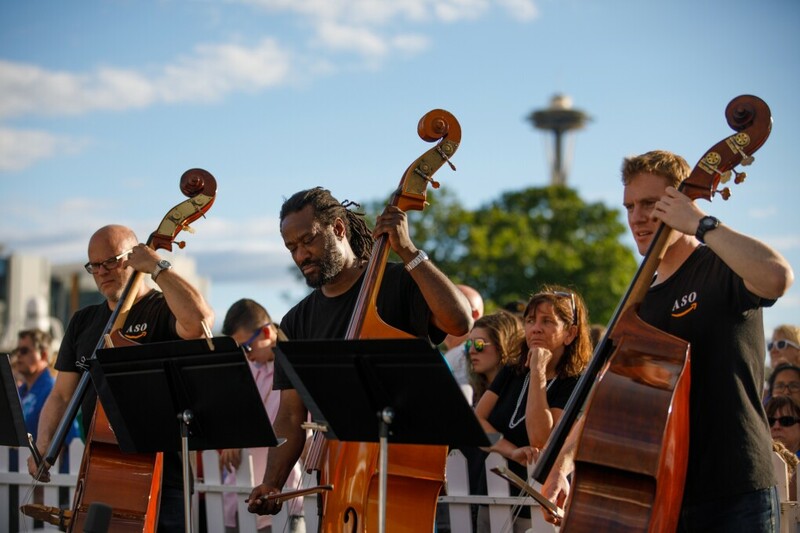 Members of the Amazon Symphony Orchestra perform at the USA Games closing ceremony. 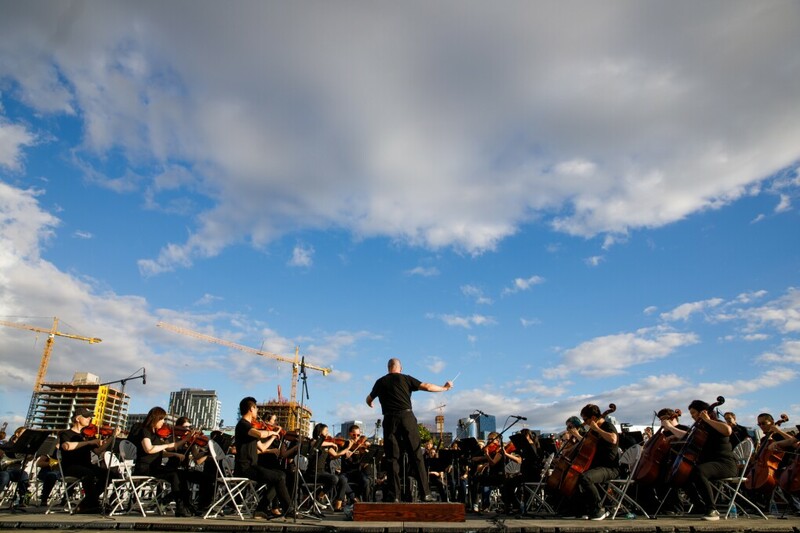 The Amazon Symphony Orchestra performs at the USA Games closing ceremony. 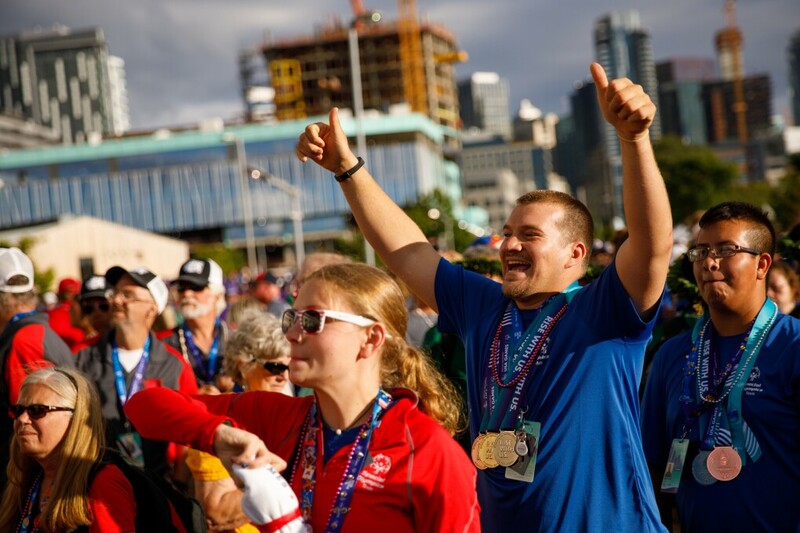 USA Games athletes and their families celebrated at the closing ceremony, presented by Amazon. 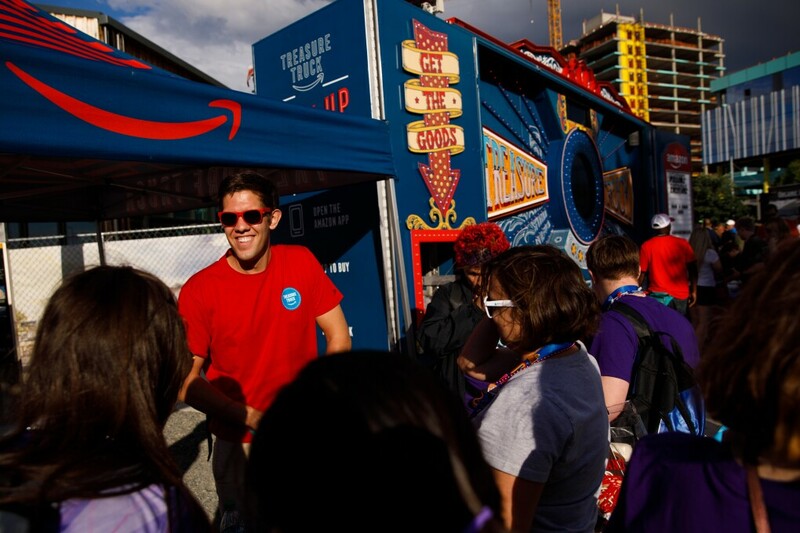 Amazon’s Treasure Truck distributes exclusive trading pins to athletes at the closing ceremony. 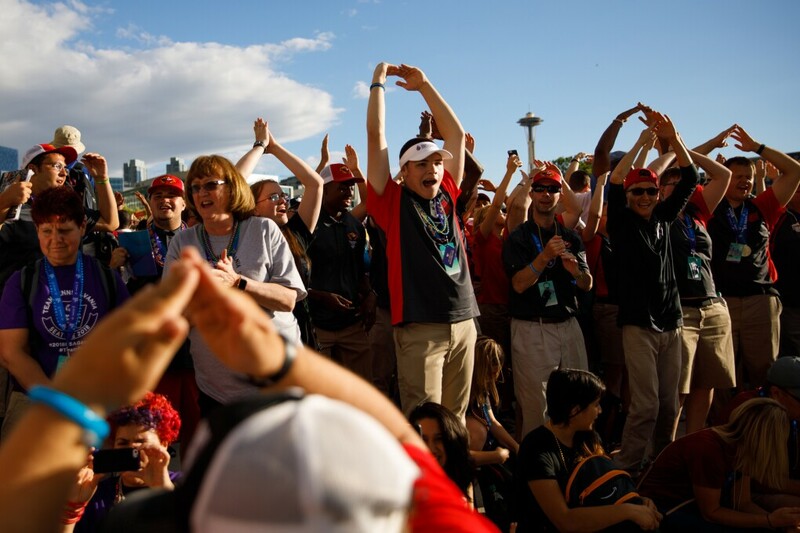 Hundreds of Amazonians get ready to volunteer at the USA Games closing ceremony.